When criminal lowlife Hwang is murdered by gang enforcer Park Joon-gil (Park Seong-woong (박성웅), hard-boiled detective Jeong Jae-gon (Kim Nam-gil (김남길) is tasked with locating the felon. 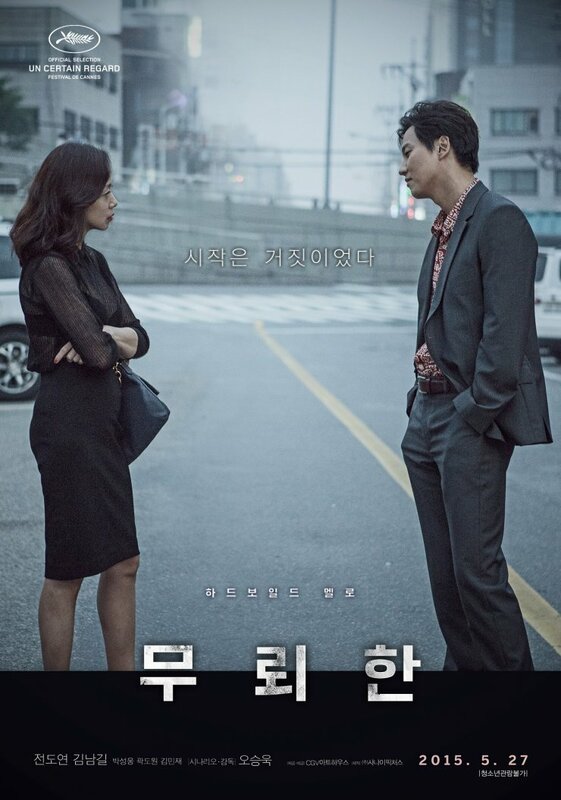 The assignment proves problematic as Park is gifted at evading capture, yet his passionate relationship with brothel madam Kim Hye-kyeong (Jeon Do-yeon (전도연) could provide the detective an opportunity for the arrest. Going undercover to win her trust, Jae-gon contends with fending off corrupt cops and violent local gangsters all seeking Joon-gil for their own ends, while struggling to keep up his charade as he becomes increasingly attracted to Hye-kyeong. With his desire for her heightening, Jae-gon discovers his morality becoming progressively blurred. Premiering in Un Certain Regard at Cannes 2015, writer/director Oh Seung-wook’s noir thriller The Shameless begins as a visually stimulating and compelling crime thriller before descending into tepid drama at the halfway point. Gorgeously realised and featuring a great performance by the ever-reliable Jeon Do-yeon, The Shameless is ultimately let down by Kim Nam-gil’s uninspired lead and a bland final act. Helmer/scribe Oh Seung-wook, responsible for penning acclaimed films Green Fish and Christmas in August, steps behind the camera for the first time since 2001’s Kilimanjaro and immediately appears as if he never should have left. 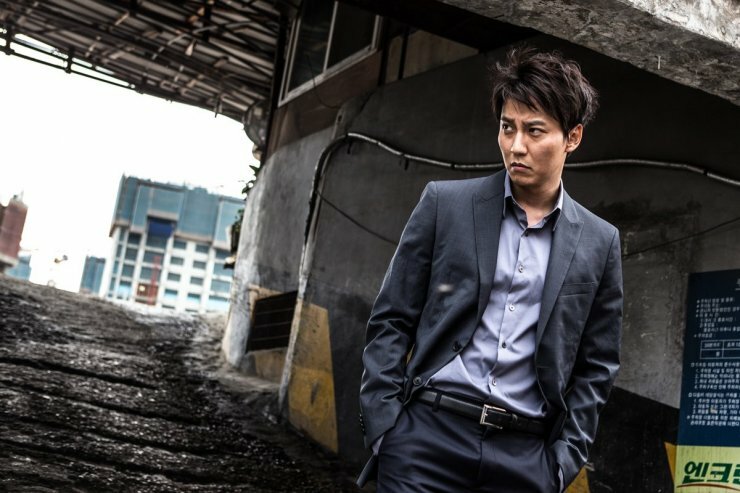 The Shameless opens in wonderful style, as a long take follows detective Jeong as he traverses Seoul’s under-construction landscape in the pale blue hue of the dawn, wonderfully articulating the gritty nature of the narrative and the complex attributes of the capital itself. The dilapidated environs, complete with renovation on the horizon, are visually inspiring and set up the region as a wholly believable arena in which crime and corruption are rife. The plot, too, begins in a satisfactory hardboiled fashion as Jae-gon is assigned to capture fugitive Seong-woong due to a gruesome murder. With both the police force and local gangsters claiming a stake in locating the perpetrator it’s not long before their mutual goals aline, with Jae-gon consistently questioning which side of the law he is now on. To complicate matters, Jae-gon’s increasing attraction to femme fatale Hye-kyeong stirs even greater trouble for them both. Yet while all the classic features of film noir are setup, The Shameless becomes difficult to invest in due to the narrative structure alongside Kim Nam-gil’s indistinct performance. The actor certainly gives it his best, but he simply doesn’t have the gravitas or presence to be the hardboiled cop the film requires, while the script’s venture into generic drama territory dismantles the tense noir elements within and ultimately leads to an unsatisfactory finale. Bizarrely, the disappointing climax occurs around the 1hr 40 minute mark with an additional 20 minutes seemingly tacked on as an epilogue of sorts, slavishly dedicated to wrapping up loose narrative tangents. It’s an unnecessary extension, resulting in an overly long running time with little payoff. Such criticisms do not apply to Jeon Do-yeon however, who adds yet another compelling performance to her already outstanding resume. While she isn’t given a great deal to work with, her turn as strong, street-wise bar madam/prostitute Hye-kyeong is consistently charismatic, imbuing the antagonist with sophisticated canniness and just a hint of vulnerability. Due to the nature of the narrative structure, The Shameless eventually comes to rest on her shoulders and she carries the film much more convincingly than her co-star with her endearing performance. The Shameless is a gritty noir crime story by helmer/scribe Oh Seung-wook, who brilliantly employs the urban landscapes of Seoul to construct a visually stimulating film. While the opening is effective in establishing a compelling thriller and the ever-reliable Jeon Do-yeon adds sophistication, the narrative slips into tepid drama and an overly long uninspired finale, making for a competent yet sterile noir tale.